Elana is a nationally recognized food and nutrition communications expert and spokesperson. Her philosophy is that good eating should involve all five senses: the sound of the sizzling stovetop, the smell of a dish that evokes a childhood memory, the look of a well-plated meal, the feel and texture of the food on your tongue, and of course, the taste! She also believes that specific foods themselves do not cause or cure disease or health issues, but rather that the conversation about food needs to be in the context of overall lifestyle. Elana’s first job was as an on-camera spokesperson, which then led to a rewarding career in public relations, working for major agencies in Chicago, Denver and Washington, D.C. Along the way Elana earned her master’s degree in nutrition and became a registered dietitian, then evolved into a career as a nutrition communications expert. Her greatest skills and talents are in communications strategy, writing, relationship-building, and contract negotiation, specializing in the areas of food, nutrition, health and wellness. 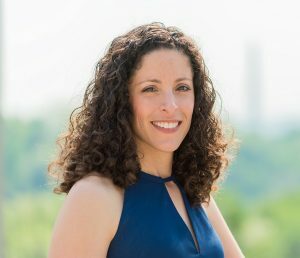 Within the first year of launching her blog, A Sprinkle of Sage, Elana was named one of six “Local Nutrition Bloggers to Follow” by Washingtonian magazine. She has also been quoted in the Washington Post, Washingtonian Mom, WebMD and other major media outlets, in addition to appearing on Fox 31 in Denver as a spokesperson for Rudi’s Organic Bakery. Elana received her bachelor’s degree in public communication from American University and completed her coordinated master’s/internship program for nutrition and dietetics at Colorado State University. She is a member of the Academy of Nutrition and Dietetics, including several Dietetic Practice Groups and local affiliates. She is an avid runner and an earnest yogi, working to achieve the perfect headstand. Elana has lived all over the U.S. but now resides in the Washington, D.C., area with her husband, two children and faithful dog, Buster.